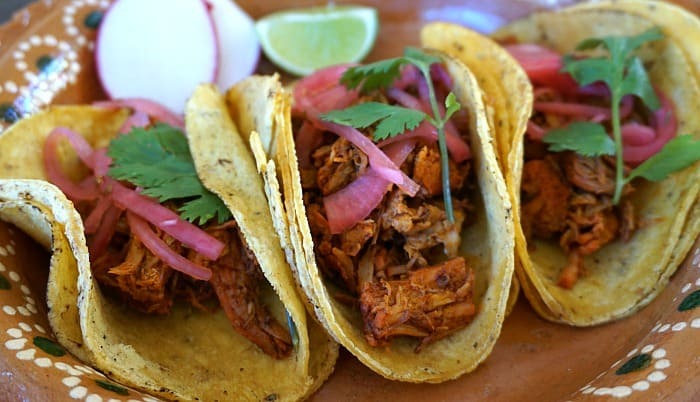 Cochinita pibil, also known as puerco pibil or cochinita con achiote, is a traditional slow cooked pork dish from the Yucatan Peninsula in Mexico. 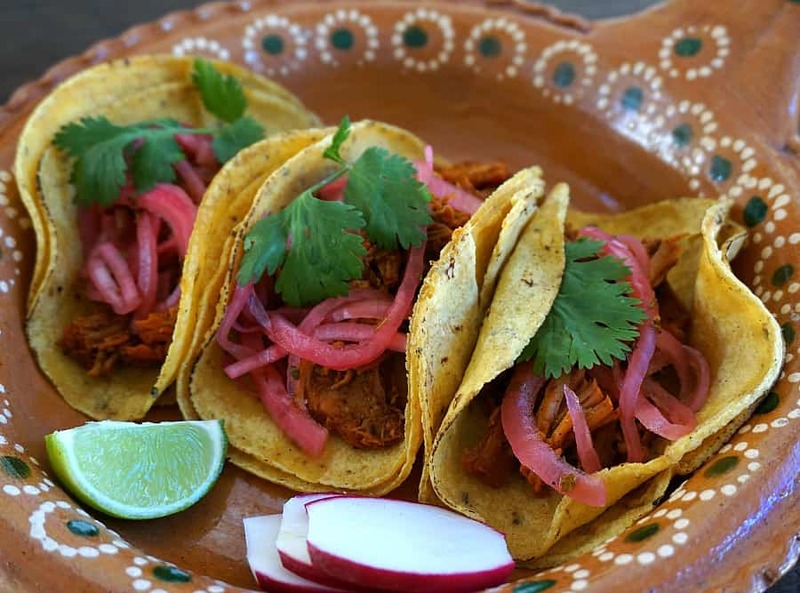 While it is available in many restaurants, the best cochinita is often found in small street stands throughout Yucatan cities. Due to the long cooking time of the dish, stands will often open only on weekends (or just Sunday). They open early, and stay open until they run out of pork – in many cases, by 11AM. 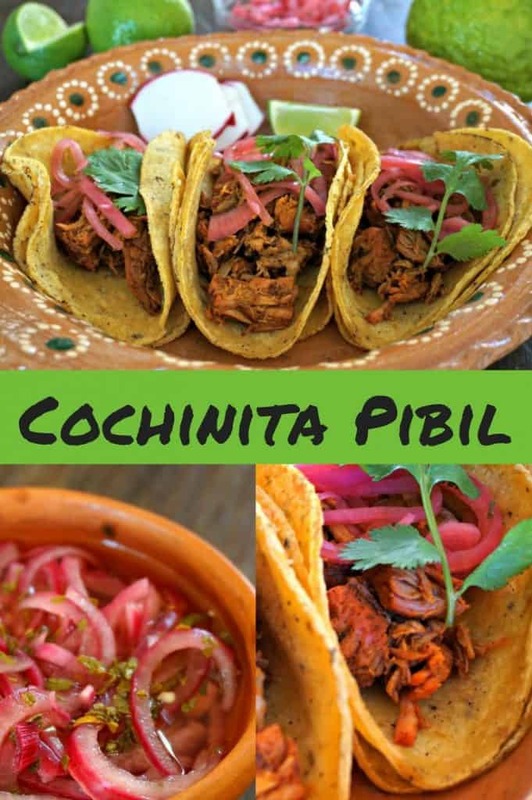 How do you find the best Cochinita? Get up early on Sunday, and check the corners of the local plazas. The best places will have a line of people, and will sell out early. One of the ingredients that makes this delicacy unique is a Yucatan sour orange called a Seville orange, which helps to break down the meat while also imparting a delicious citrus flavor. The other major ingredient is Achiote paste (available in the international section of most major grocery stores), which adds flavor in addition to imparting a brilliant orange color to the meat. 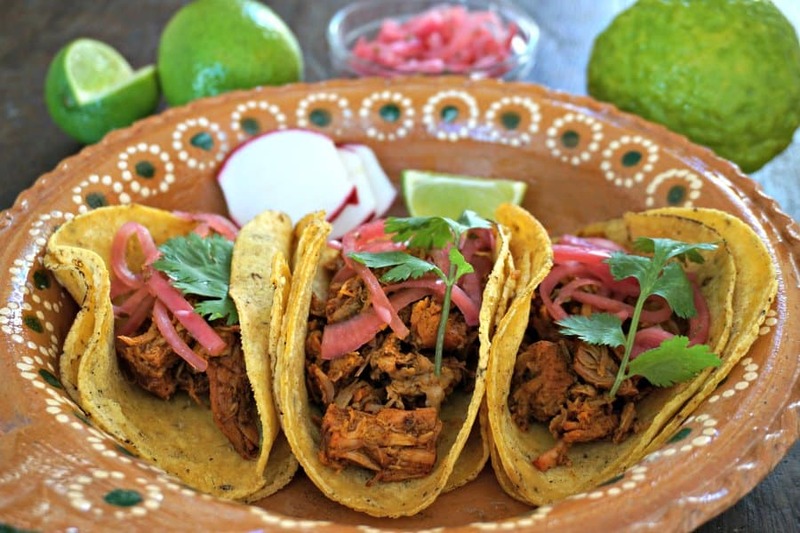 Traditional Cochinita Pibil is cooked in a pit, adding an earthly flavor to the dish. The pork is also traditionally wrapped in banana leaves, which allows the meat to cook evenly while remaining moist. Since a pit and banana leaves are sometimes not on hand, our version is slow-cooked in the oven. 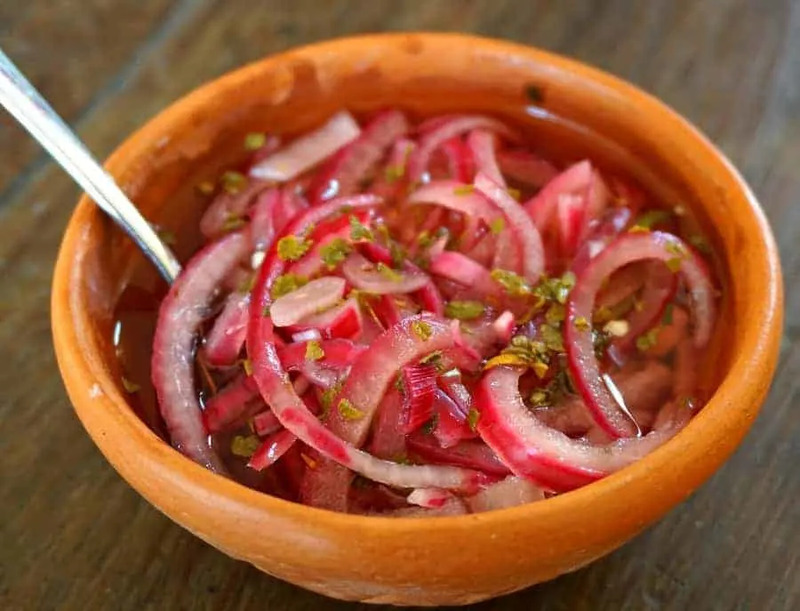 Find our recipe for Pickled Red Onions, without which a traditional Cochinita taco is incomplete! And feel free to browse our food finds recipes section to see our complete list of recipes inspired by our ongoing travels around the world. Toast the peeled garlic cloves in a dry pan, until theyâ€™re charred all over â€“ this provides a smoky flavor to the dish. Remove the garlic. Toast the peppercorns, cumin, red chile powder, cloves and cinnamon in the pan for one minute, until you can smell the peppercorns and cumin. 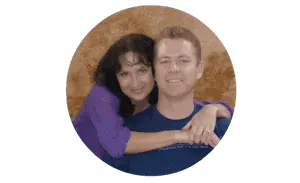 Place spices, along with the oregano, garlic, achiote paste, citrus zest, juice and vinegar in a food processor or blender, and blend until smooth. Spread mixture on all sides of the pork, and place on a rack inside a dutch oven. Add 1 cup of water to the bottom of the pan. Place sliced onion on top of the pork. Cover pan, and cook at 300 degrees F for 3-4 hours, adding water as necessary to moisture in the oven. The cochinita is done when the pork is fork tender and falling apart. Remove from oven and let sit for a half hour. Use a fork to shred the port, mixing it with the juices at the bottom of the pan. Place a portion of the cochita on a warm tortilla shell (or on freshly baked french bread). Top with pickled onions and cilantro, and serve. Inspired? Why not Pin it for later?